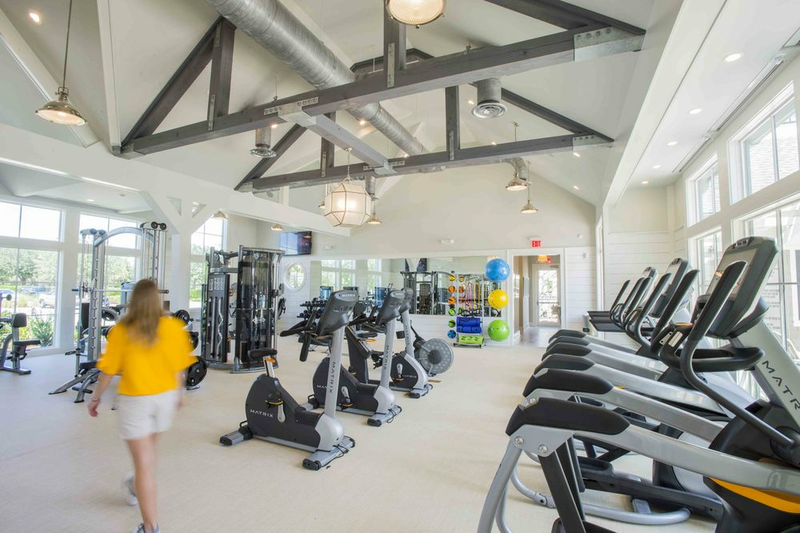 The latest amenity building for the Savannah Quarters Community is a new fitness facility completed in 2015. The 4,500 sf project was conceived to augment the existing adjacent pool complex with a fitness room, aerobics classroom, restroom/lockers, and spa rooms, in addition to a private adult pool on a raised courtyard terrace. The building was designed to complement the scale and traditional materials of the original poolhouse, but incorporated oversized windows and ceiling heights to provide adequate light and air for the interior program spaces. The interior selections were a neutral palette to enhance the building’s upscale resort character.